Home » Autos and Vehicles » Toyota Corolla 2017 » How to Pre-order Corolla from Toyota Pakistan? We recently reported you that Toyota Pakistan has officially introduced the New Corolla car in the country to mark its 50th Anniversary. The all new Toyota Corolla in a facelift version of its predecessor. The Japanese car manufacturer giant has not introduced the fully new model of Corolla beside little change in outer design and interior. The company has started the pre-order for the all new Toyota Corolla in Pakistan. If you want to pre-order the Toyota Corolla in Pakistan you need to pay Rs.50,000 to Indus Motor Company’s authorized dealers. Toyota Corolla will be available in eight different variants in Pakistan. 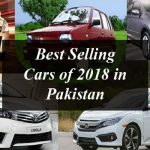 Toyota has also increased the prices of various corolla variants in Pakistan this year. The new Corolla cars by Toyota contain the following price tags. How to check the availability of your desired Vehicle? In order to check the availability of your desired vehicle in Pakistan by clicking here. You can read the complete details about Toyota Corolla Altis 2017 here and about Toyota Corolla Gli 2017 here.